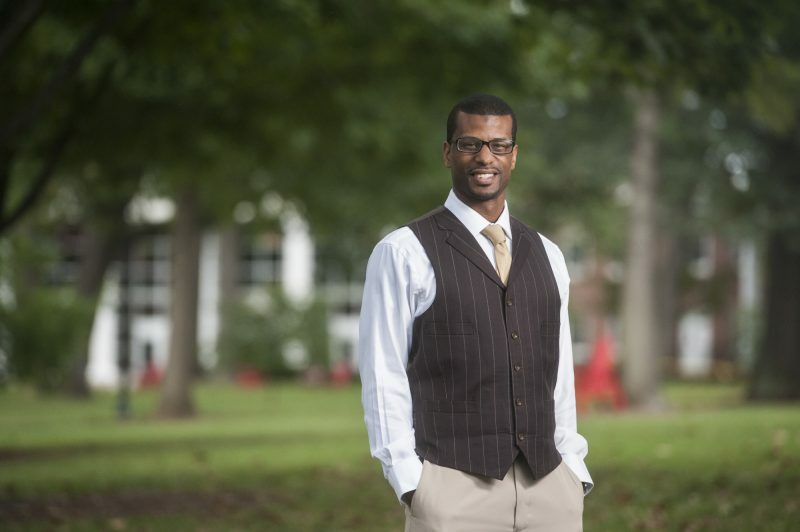 University of Lynchburg’s diversity and inclusion officer, Aaron Smith ’05, ’07 MEd, has been named a National Role Model by Minority Access. The award recognizes Smith as someone whose career and life are worthy of emulation, with the goal of increasing the pool of professionals working to solve medical, technological, and societal problems. Smith majored in communication studies as an undergraduate at Lynchburg. After earning his master’s degree in educational leadership, he embarked on a career that has encompassed student life, mentorship, human resources administration, coaching, and writing. A year ago, he became the College’s diversity and inclusion officer. He started Man 2 Man, a program in which he mentors black men on campus. He is currently earning his doctorate in leadership studies at Lynchburg. His dissertation, “This is How We Did It: A Grounded Theory Approach to Black Male Success,” explores the stories of successful black men in Central Virginia to identify common characteristics and resources that contributed to their success. Dr. Garren nominated him for the National Role Model designation. Smith will attend the Minority Access national Role Models Conference later this month to be honored. Minority Access is a nonprofit organization committed to increasing diversity, decreasing disparities and reducing incidences of environmental injustices. It assists colleges and universities, the government entities, and corporations in implementing programs and providing services to recruit, enhance and retain underserved and underrepresented populations.